Cider is great when it’s cold; the perfect drink for a cosy night in, or out. 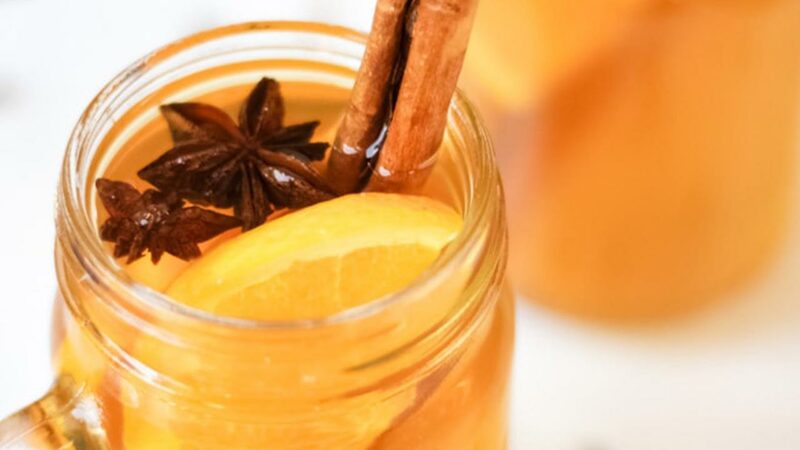 Mulled cider dates back to medieval times, when a hot mulled punch, often made with honey and herbs, was served in tankards or goblets or drunk from a communal bowl topped with slices of toasted bread. We would recommend your own glass, without the soggy toast topping. The Big Bear still cider is perfect for mulling. Spices such as cloves, cinnamon, star anise or orange zest. Pour the cider into a large pan on a low heat and let it warm through for a few minutes. Add the spices and apple juice and turn the heat up. Once boiling, turn down to a simmer and leave to tick away for 5–8 minutes. Don’t boil for long as it will reduce the alcohol content. Add the splash of Calvados or Pommeau. As everything infuses you’ll get delicious layers of flavour. Taste it and add sugar depending on how sweet you like it. When you’re happy with the flavours, ladle into glasses or mugs and serve warm.